Updated Tuesday November 15, 2016 by MLRC. The weather was colder but competition was heated at this past weekend’s Philadelphia Frostbite held Saturday November 12, 2016 in West Windsor, NJ. 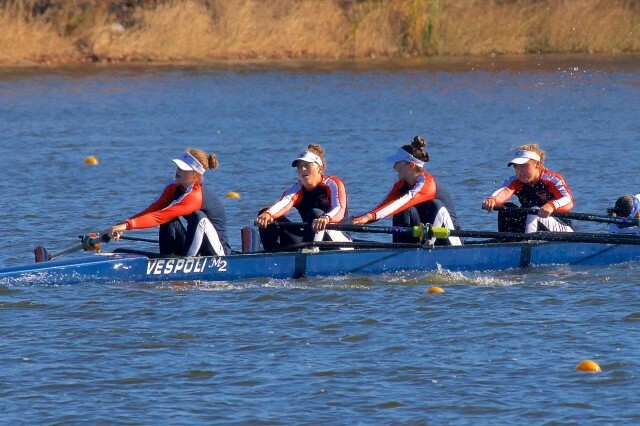 MLRC held its own against tough competition and placed in top 4 in 9 out of 12 races with the MV8 bringing home a 1st place again with a sprint time of 6:19. Lot’s of 4 boats in addition to the 8s competed head to head in time trials and later finals for a full day of racing. For full results and specific times check out www.regattacentral.com.